«Akva-Don» LLC is one of the most progressive manufacturers of mineral and drinking water of the South of Russia. The company also produces lemonades and ice-teas. The total area of the facilities is about 10 thousand square meters. “Akva-Don” company produces high quality water of natural pollutant-free materials using modern technologies. Water from these wells passes 5 stages of purification, and it is controlled by 92 indexes, and during the process of production it is controlled in 7 points of technological process. Company is accredited in the system of Federal standard of Russian Federation. Company’s laboratory has the right to perform as an independent expert in expert examinations of city wells. 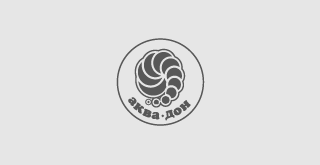 Company «Akva-Don» possesses all necessary resources to produce water of high quality- from modern import lines till continuous quality-control system. Share of the market on Rostov-on-Don and Rostov Region is 15%. All products are produced according to the unique recipes, invented by specialists of the company. Italian and Germany high-tech equipment is used for production.